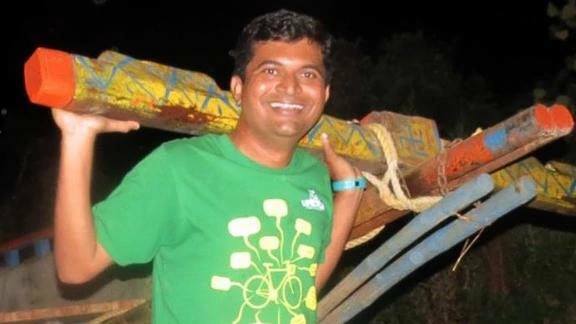 36-year-old, Shivanand Jadhav, who was riding a bicycle along Forrest Highway near Binningup (25km north of Bunbury) in Perth on 3rd June 2018, met with a tragic accident costing him his life. Shivanand Jhadav was riding a cycle when he was involved in a crash with a truck at around 11:30 in the morning. The truck driver stopped at the scene and assisted the Police with their investigation. Before the emergency crew arrived passing motorists stopped to give him CPR. Jhadav was working as an IT consultant in Perth. He was cycling enthusiast who used to cycle long distances and used to share the details in Social Media. He had been training for the Ride to Conquer Cancer in October. He is survived by his wife Archana and their seven-year-old son.